There doesn’t seem to be such a thing as too much money. But if, somehow, you do find yourself with way, way too much cash on hand and feel the need to buy some obscenely expensive Christmas gifts for your family, don’t worry. We’ve done the hard work for you. 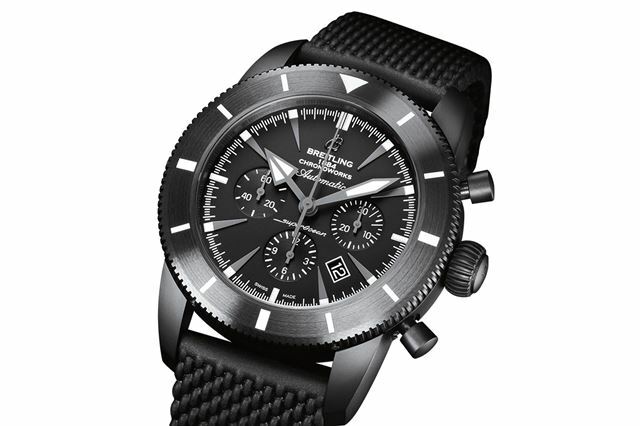 Limited to just 100 pieces, this all-black SuperOcean Heritage has been ‘tuned’ by Chronoworks, which is to Breitling what AMG is to Mercedes-Benz. That means it has a finely tweaked and improved winding mechanism with a 100-hour power reserve – all housed behind a transparent back, so the inner workings can be admired. If this limited edition, £30,000 version of the SuperOcean Heritage is too much for you then you could just opt for a ‘normal’ SuperOcean. They are available from around £2300 depending on the version, size and style and you’ll find them at most jewellers.